At the EOS M5’s heart is a 24.2-million-pixel sensor with Canon’s Dual Pixel CMOS AF. It’s clearly closely related to that found in the EOS 80D, but updated for the M5, with gapless micro lenses for improved sensitivity. Its Dual Pixel design splits each of the light-sensitive pixels into two photodiodes, right and left, and this enables phase detection for autofocus, similar to the systems traditionally found in DSLRs. 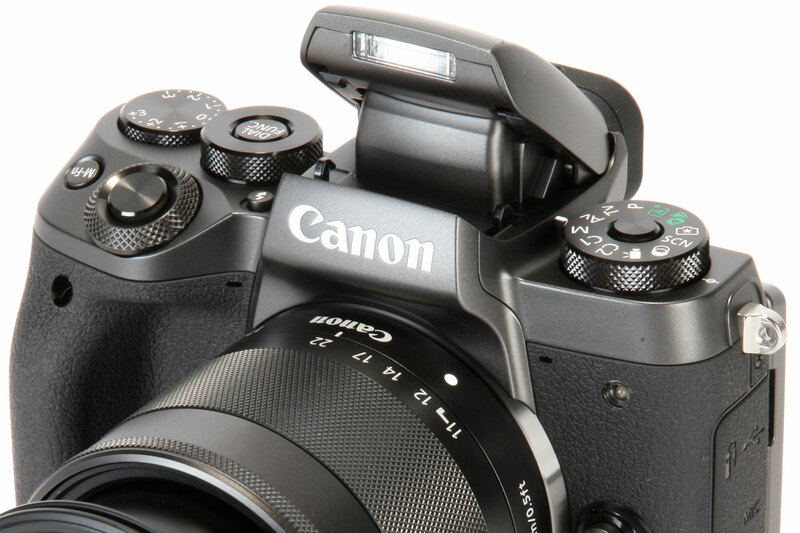 Crucially, though, the M5 is also just the second model after the PowerShot G7 X Mark II to sport Canon’s new DIGIC 7 processor, which is said to be 14 times more powerful than the previous version. Putting this power behind the Dual Pixel sensor means the EOS M5 has a very capable AF system indeed. 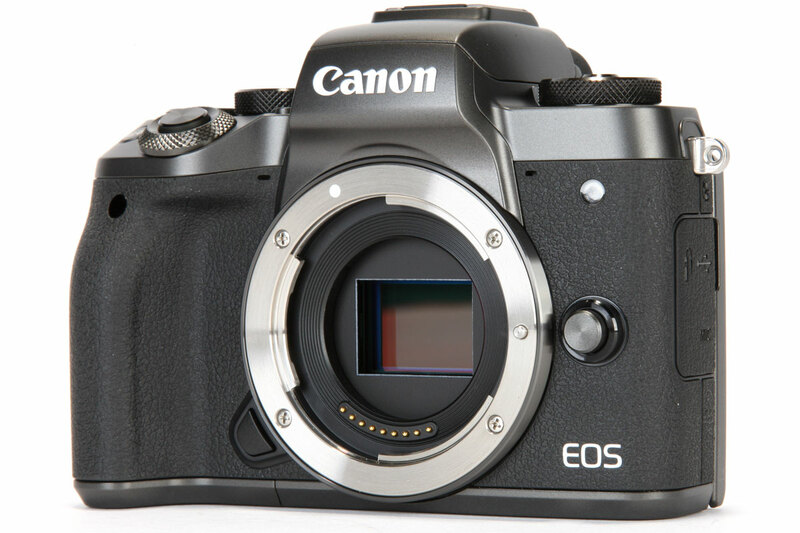 Together, the sensor and processor enable a sensitivity range of ISO 100-25,600 with 14-bit raw output. The EOS M5 can shoot at seven frames per second with AF between shots, or nine frames per second with focus fixed, with a buffer of 26 frames in JPEG, or 16 in raw. Surprisingly, though, the 7fps mode doesn’t offer live view between frames, showing just a sequence of previously taken frames. This hampers your ability to follow moving subjects, and feels several years out of date. Shutter speeds range from 30 seconds to 1/4000sec plus bulb, and as usual Canon uses an electronic first curtain shutter, which eliminates any vibrations before the exposure is made. Unusually, though, the M5 has no fully electronic silent shutter option, which is now a standard feature on most similar models. The mechanical shutter is comparatively noisy, too, making a distinctly audible clack, so unlike many other recent mirrorless models, it’s not ideal for shooting in quiet environments. When it comes to additional photographic features, however, the EOS M5 is relatively sparse. It has an array of subject-based scene modes and creative filters for image processing effects, along with Canon’s beginner-friendly Creative Assist mode that gives a results-oriented method for users to adjust their shots. But if you’re looking for such things as automatically stitched panoramas, focus bracketing or high dynamic range shooting, it’s not the best choice. Canon does at least provide a nicely designed in-camera raw converter.